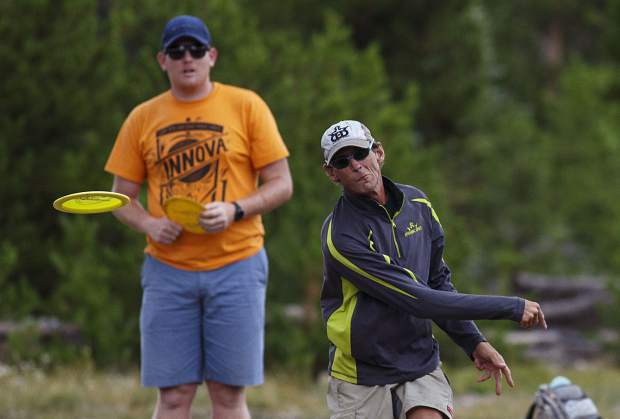 Peak One Championships competitor Dylan Perlow, of Breckenridge, sends the disc to Hole 11 basket Friday, July 28, in Dillon. 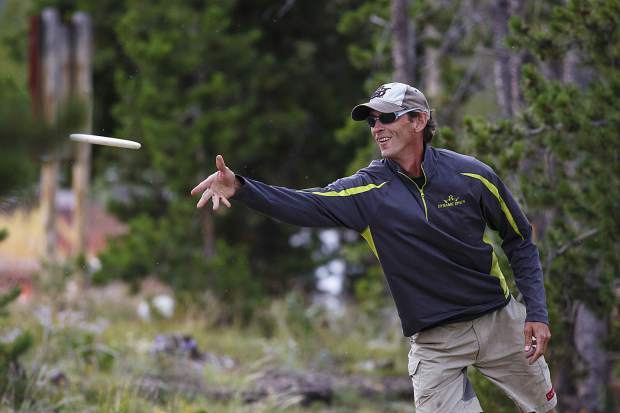 Peak One Championships competitor Markus Alt, of Longmont, pulls the disc during a round Friday, July 28, in Frisco. 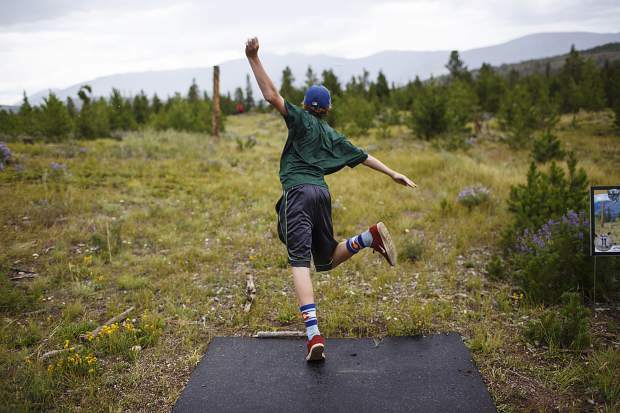 Peak One Championships competitor Markus Alt, of Longmont, attempts a birdie during a round at the Frisco Adventure Park Friday, July 28, in Frisco. 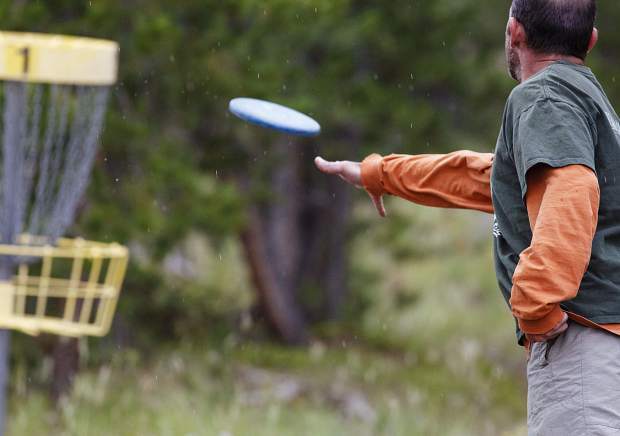 Peak One Championships competitor Colten Montgomery, of Longmont, sends the disc to Hole 11 basket during a round at Frisco Adventure Park Friday, July 28, in Frisco. 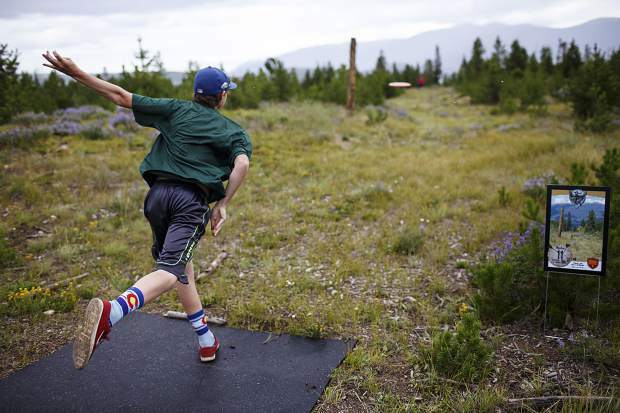 Peak One Championships competitor Scott Perlow, of Breckenridge, throws the disc towards the basket during a round at the Frisco Adventure Park Friday, July 28, in Dillon. 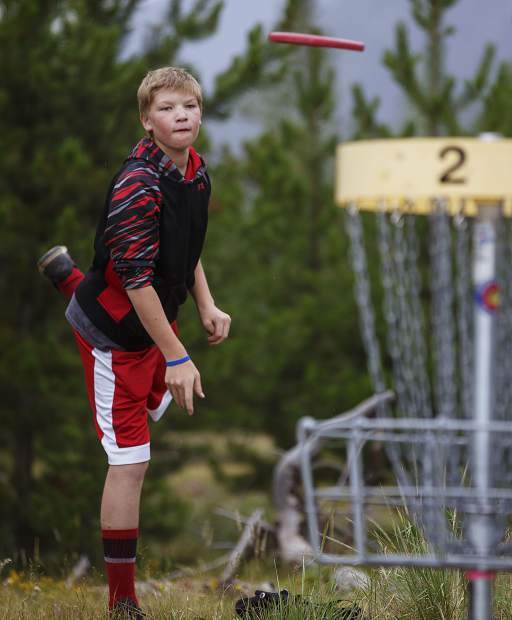 Dylan Perlow, of Breckenridge, throws the disc Friday, July 28, in Frisco. 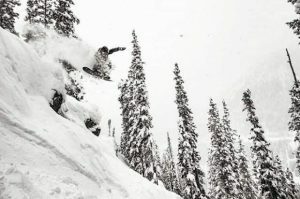 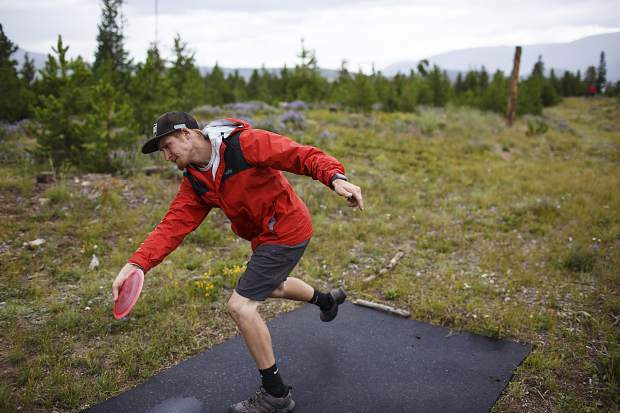 Mother Nature can’t keep 115 disc golfers down: On a rainy July weekend (July 29-30), Frisco Adventure Park hosted pros and ams for the annual Peak One Championship tourney on the drizzly shores of Lake Dillon. At least there wasn’t any wind when Summit Daily photographer Hugh Carey stopped by the Frisco disc golf course to capture the field warming up.